Welcome to the breathtaking vacation destination of Mt. 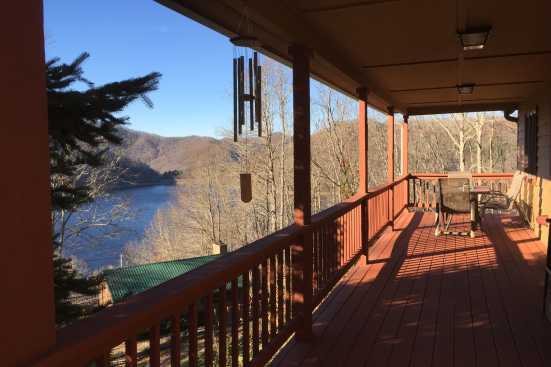 Shaddai, located in Nantahala Lake, North Carolina. Is hiking, swimming, and boating right up your alley? If you answered yes to the above question, Mt. Shaddai is the place for you! Be sure to spend some time on the lake while in the area. This beautiful freshwater lake is perfect for days of fishing, swimming, and boating. Rent a boat at one of the many docks on the lake and enjoy a day of boating around with your friends and family. The area surrounding the lake is also a great place to spend part of your vacation. Visit state and local parks and hike the spellbinding trails to breathtaking overlooks offering unbridled nature views or to majestic waterfalls hidden deep in the lush forestry of the area. No trip to the Carolinas is complete without at least one visit to a BBQ rib joint. The main draw to these restaurants is the fantastic and uniquely delicious Carolina BBQ sauce. With so many great nature-centered activities to enjoy during the day and delicious smoked meats and BBQ for the evening, guests visiting Mt. Shaddai are sure to have a truly amazing vacation! Smokymountainsbyowners.com is the best and most efficient place to find, plan, and book your vacation rental property in North Carolina. From the countless hiking trails to explore to the delicious Southern-style cuisine, guests of all ages are sure to relish the time they spend in the area. SMBYO.com aims to take the hassle and stress out of planning and booking your vacation rental property, so all you must do is decide which adventure to partake in first. Book now, you won't regret it!